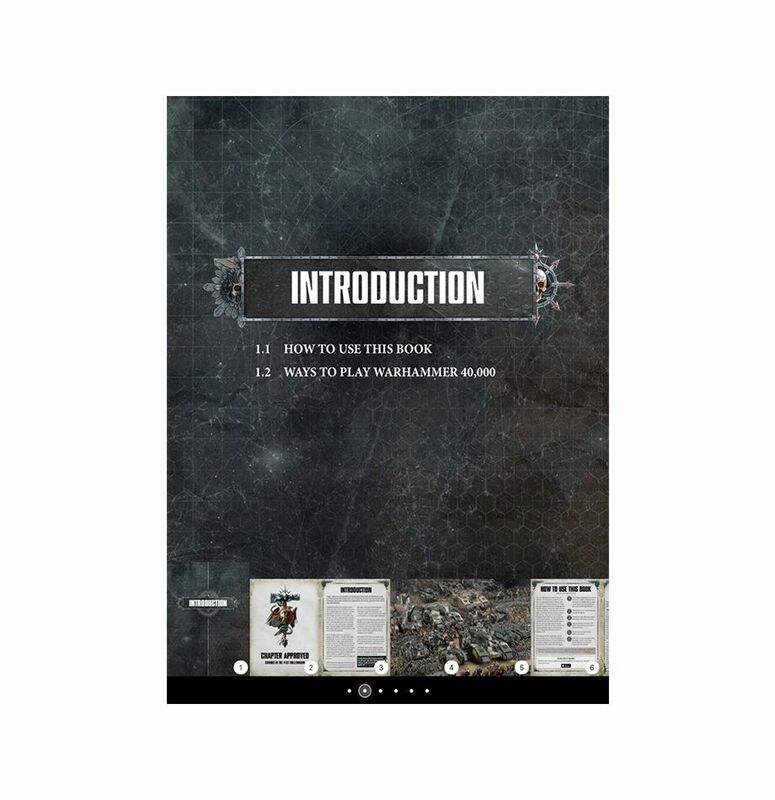 - Direct links to the Games Workshop and/or Forge World web stores â see a miniature you like? You can order it straight away. 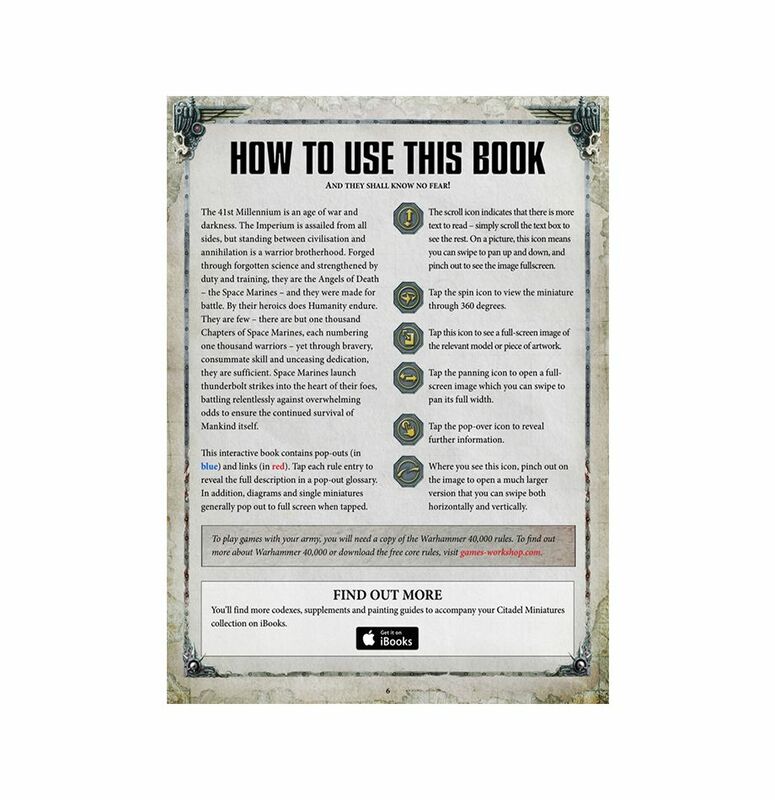 - Bookmarks â got a reference you need to use often? 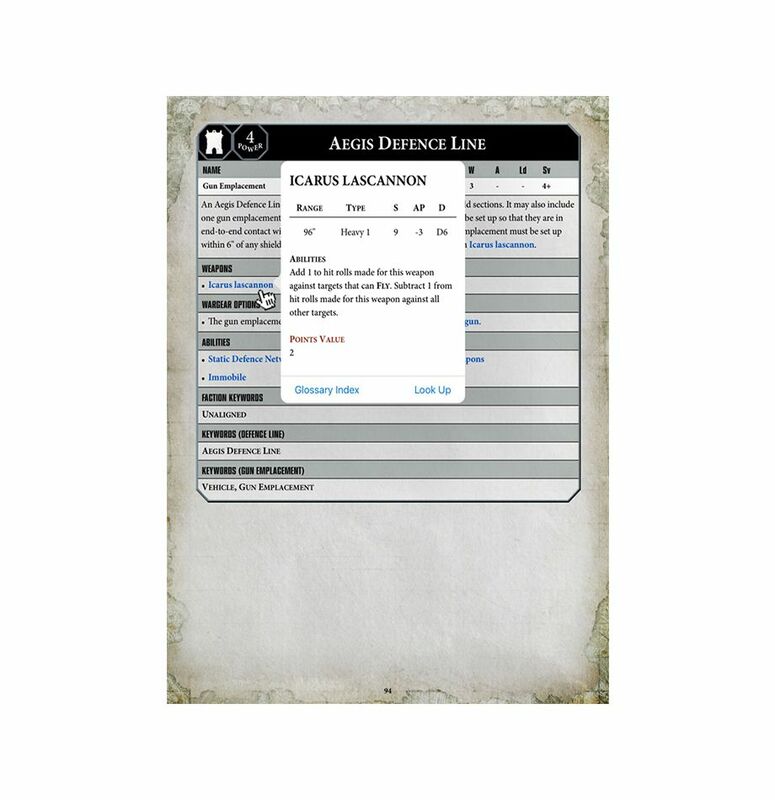 Add a bookmark and jump between your pages with a tap. 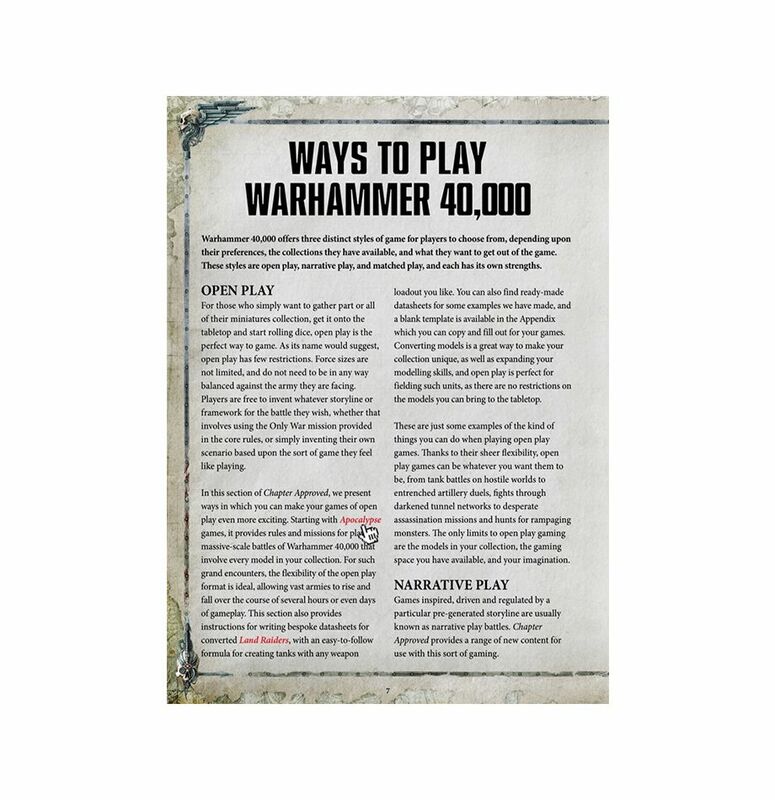 Split into 3 sections â Open Play, Narrative Play and Matched Play â with explanations and expansions of the rules for each. 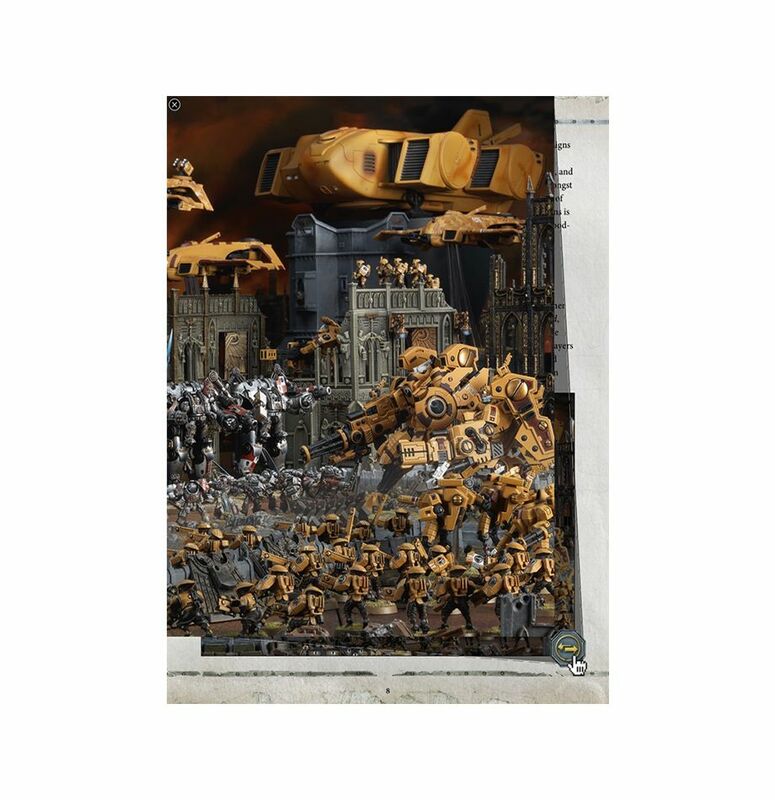 - Apocalypse: huge, dramatic tabletop conflicts in which hundreds of infantry and squadrons of vehicles are locked in desperate conflict, games of Apocalypse are Warhammer 40,000 turned up to 11. 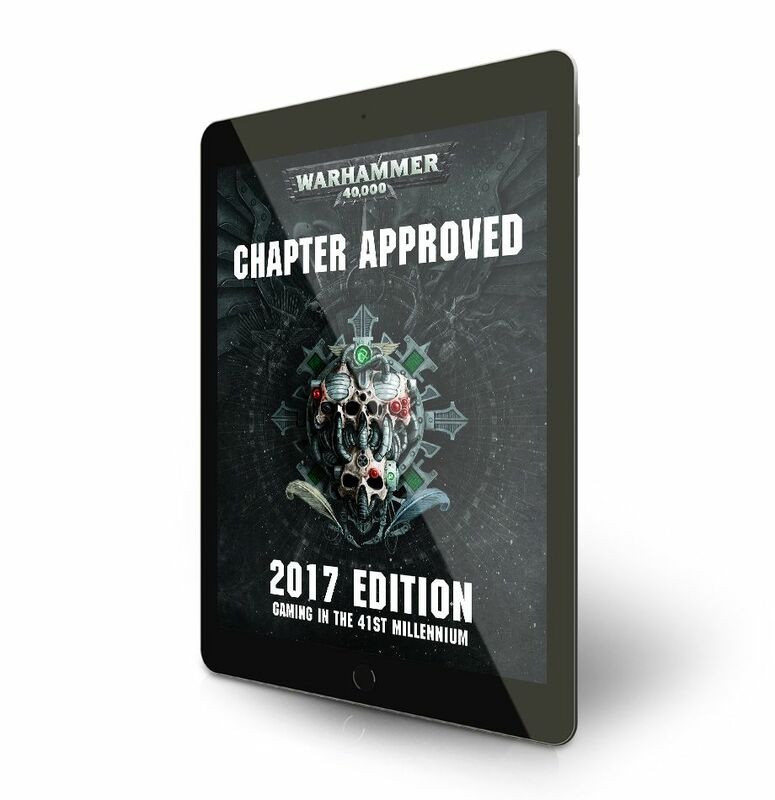 Combine armies into immense forces, unleash terrifying super-heavy war engines â Apocalypse is your gateway to truly epic battles.Chapter Approved features a comprehensive guide to running games of Apocalypse, from 3 missions, ideas for multi-table battles and recommendations for an officiated game featuring an Umpire with special influence on the battle. 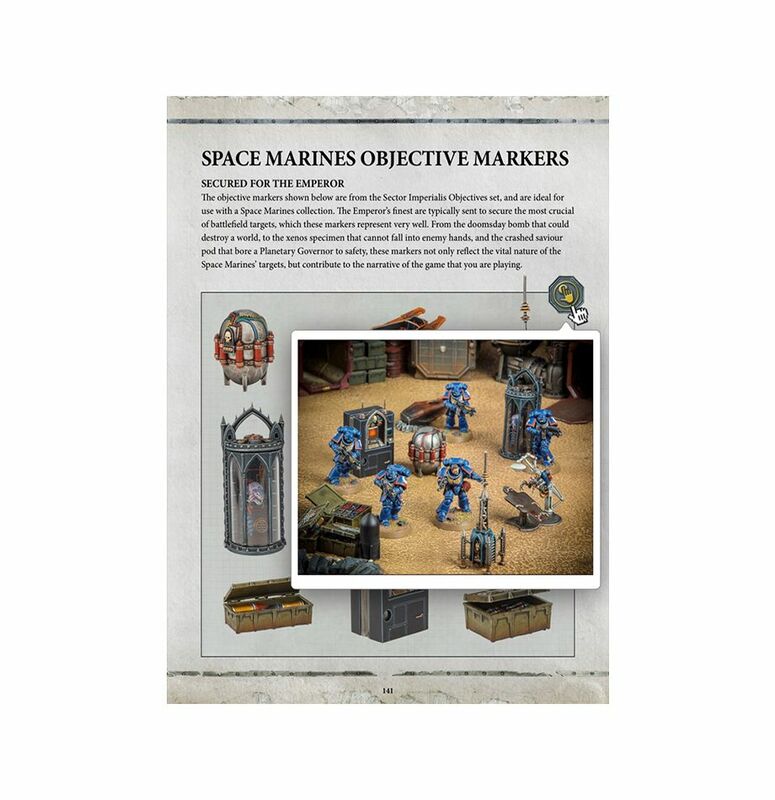 - A guide to creating your own objective markers, themed to your own army, with examples for Imperial, Chaos, Necrons, Tyranids, Drukhari, Tâau Empire, and Orks. Опубликовано 12 декабря, 2017 - 12:37 пользователем Miniset (286592). Variations of set gw-60630199132 Variations of this set's assembly, sets with same id. Пока еще нет обзоров и ссылок. Добавьте, если у вас есть!